Almost 10 years ago, the founder of one of the main peer to peer lending platforms was puzzled while looking at his bank statement. Now we know the answer. Yes, there is a way. It’s Peer to Peer Lending. Being part of the Sharing Economy, it aims at delivering better conditions to all participants (peers) by tapping into the large margins of the traditional players. 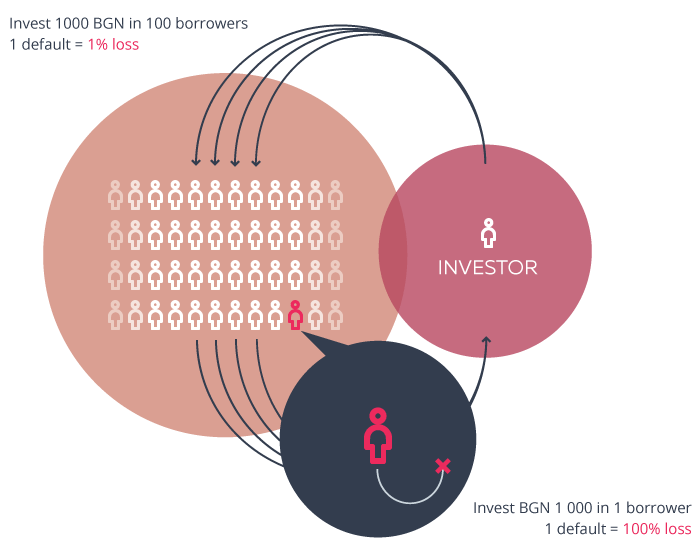 Peer to Peer Lending platforms operate online marketplaces, connecting people who have money – Investors (also called Lenders) - and people who are looking for credit – Borrowers. The role of the platform is to gather these users and select among all credit candidates the ones who are creditworthy enough, to manage the repayment of the credits and to dispatch the repayments of a credit among all its lenders. It creates a peer to peer network, with a multitude of crossed relations. Indeed, a Borrower will be financed by a number of Lenders, each of them owning a fraction of the credit. Symmetrically, each Lender will have a portfolio where he owns a share in various Borrowers, as many as possible in order to diversify his investment. The main idea behind Peer to Peer Lending is to cut the unnecessary, offering lower interest rates to Borrowers and higher returns for Investors. This is possible thanks to the Technology. Everything happens online, which drives down the cost of operations. Unlike banks, there are no branches, paperwork, heavy corporate structure or old IT software. The platform acts as an intermediary. After taking an intermediation fee usually paid by the Borrower at the beginning of the credit, all the revenues from the credit (and its inherent risks) are passed to the Investors. Peer to Peer Lending looks at sharing the pie in a better way than the current system, for the benefit of both sides, Borrowers and Lenders. It's not like a fixed term deposit in a Bank where the money is guaranteed and the return known in advance. Lenders invest in loans and they face the potential risk of Borrowers not repaying properly their credits. But this is a manageable risk. How? First, it’s essential to properly select and price the Borrowers in order to have a controlled credit risk, leaving, after coverage of the bad loans, a good net return to the Lenders. Initially, at the beginning of many platforms, this job was left to lenders where they could filter borrowers and also set up the interest through kind of auctions. Nowadays, almost all platforms are doing this job although filtering is often still available for Lenders who want to perform complementary selection. Second, a Lender can (and should) spread his money by lending small parts to as many borrowers as possible. Not putting all eggs in the same basket! This way, statistically, in average, the interest received on all its good borrowers should be more than enough to cover the loss coming from the money not returned by bad borrowers. Liquidity of the investment is linked to the maturity of the loans invested in. Usually, the longer the loans repayment periods are, the higher the return offered by the platform is. This means that investors should avoid investing money if they may need it without notice. 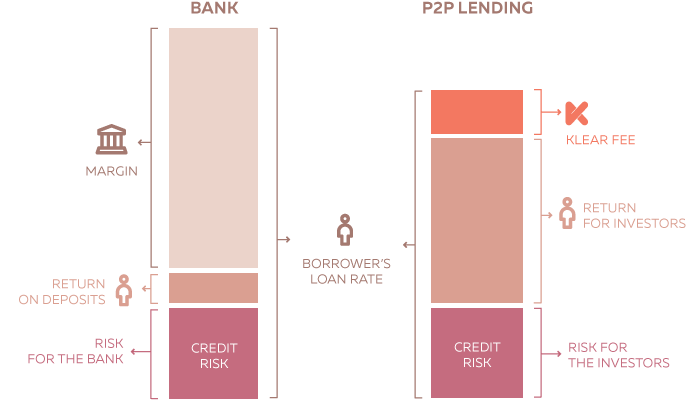 P2P Lending is typically not a good idea for savings set aside in case of emergencies. The majority of the platforms offer a secondary market where investors can sell their loans if they want to get their money back before the initial term. That can help in case of emergency. In this situation, Investors are exposed to the interest rate risk. If the market rates have increased, the loans issued in the past at lower interest rates are worth less than the new ones. Investors may have to sell with a discount to the nominal value. But it would be the same if the investor had invested in Bonds. One of the most common concerns usually raised is about Macroeconomic risk. What would happen to the return of investors in case of a serious economic crisis? Most probably an increase of the unemployment would lead to a higher than expected credit risk and therefore to a decrease of the return for investors. That’s pretty sure, but this statement must be pondered. First, the impact would be different if the platform focuses on prime borrowers or on subprime borrowers, the second category being more sensitive to an economic downturn. Second, the consumer credit business has proven to be rather resilient to economic crisis. Zopa, the first platform ever created, sailed rather well through the 2008 crisis. The same thing cannot be said for the investors, who put their money in the stock market, just before this crisis. 5. And if P2P is yet another pyramid scheme? That's a legit question regarding something new. Well, not so new indeed. 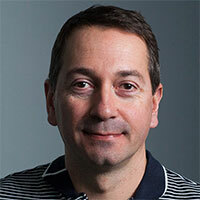 In US and UK the first platforms like Lending Club, Prosper and Zopa started 10 years ago. Since then, this industry has grown and has established a decent track record as well as good practices. UK Peer to Peer Association has defined a set of operative rules. They are of good sense and are progressively applied by the industry all around the world. This should help prevent unfortunate events like the fall of TrustBuddy, a Swedish platform which bankrupted after some internal fraud or like various cases in China, where the market developed too fast with thousands of platforms, some of them collapsing to the detriment of its investors. The most important principle is transparency. Platforms should provide clear information to borrowers and lenders, not hiding any potential risk for the investment. They publish detailed figures about the performance of the portfolio. Also, something totally unthinkable in the traditional banking world, they are obliged by the UK Association to make available their whole portfolio of loans! This means that everybody can dig in the data and assess the quality of the portfolio. This is pure crowdsourced auditing! Platforms are not (yet) all regulated, but this auditing by the crowd may be more efficient than the traditional system. We've seen recently banks going bankrupt in spite of the auditors and regulators inspections. Other important rules concern the management of the client's money, which should be isolated or segregated, i.e. not mixed with the money the platforms use for its operations and costs. Strong risk management expertise and tools, proper Anti-Money Laundering procedures and backup solution in case of wind-down are also important requirements for these platforms. Last but not the least, each investor knows exactly where his money went. He is the owner of clearly defined parts of loans. There’s no pooling of the money like in a Bank or in a Pyramid. Even in the case of the bankruptcy of the Platform, the Lender is still the owner of these pieces. In the US this industry is already big with 2 large players like Lending Club originating 8.3 billion US$ in new credits in 2015 and Prosper 3.7 b US$. Still small compared to the gigantic US consumer credit market, but not any less significant. Beginning of 2016 saw a sharp slowdown of Lending Club growth after some management issues. This resulted in a sudden cautiousness of investors, mainly institutional investors and obliged Lending Club to revise down its ambitions. Trust takes time to build but can be gone in a minute. It’s important to notice, that the US market growth has been mainly sustained by institutional investors in these platforms. They still operate with a peer to peer model, but now the majority of the funding comes from corporations. Another interesting evolution is the development of peer to business platforms like Kabbage or Ondeck who give online money to small and medium enterprises in need of credit to develop their business. Kabbage loaned 1.9 B US$ in 2015 in a segment underserved by traditional banks, usually reluctant to finance small businesses. Crossing the Atlantic, UK is another mature market. Growing steadily thanks to 3 well-established players Zopa, RateSetter and Funding Circle (the latter doing a Peer to Business) and dozens of other platforms. The growth looks even more sustainable than in USA because it’s mainly driven by retail investors, rather than institutional and also because of the strong Association who established solid business practices before the regulator (FCA) started digging into this new industry. Also appeared real estate platforms like Lendinvest, where investors can lend to property professionals. The rest of Europe has been progressively conquered by this new wave and now almost every country sees platforms emerging and growing like Younited in France, Auxmoney in Germany, or Bondora and Mintos from the Baltic countries. Returns differ quite widely upon the platform or the segment inside a platform. Why? Because the key driver for the return is the risk. If we look at the biggest players in UK, they offer now a return around 4%. It’s not huge but still well above the deposit giving something close to 0%. It’s because they mainly target prime borrowers, with good profile and credit history. The only way to attract them is to offer low interest rates, compressing the return for lenders. But at the same time, this low risk should ensure a low volatility of the return. Indeed many platforms offer the possibility to select the segment of the borrowers. For example, US consumer credit platforms spectrum is from super prime borrowers to near prime or even subprime. The range of return is from 4% to 10% upon the segment, with an average around 6% or 7%. Finally, some platforms are targeting subprime customers, customers with an unstable situation or poor credit history, who have almost no other option than to take a credit with yearly interest rates above 30%. Returns provided can go above 10%. Volatility is also higher. Something also to consider when investing, is the tax regime. It depends on the tax residence of the investor. It’s particularly important for investors using high risk / high return platforms. If the tax authorities don’t allow the netting of the losses, then paying tax on the gross return (interest) could eat up all the return. Let’s look at this example: investing in loans with 30% interest rate and 20% credit risk, delivering 10% return before tax. Fine, but if the tax rate is 33%, paid on the gross interest, the return after tax downs to 0%. Bottom line, investors have the possibility to choose the combination risk/return, based on their risk appetite. Investing in Peer to Peer lending is a way to boost the return of savings, but it’s definitely not an option to put everything in, nor for customers who have limited savings, basically for emergency situations. There is no unified regulation for P2P lending in the World or even in Europe. Direct contract between an investor and a borrower. Usually no license, no regulation from the Financial Supervision or the National Bank. That was, for example, the UK framework until very recently (a specific regulation has been voted and now existing platforms are in the process of getting a tailored P2P license). The platform uses a third party originator who is a licensed Financial Institution to finance the credit to the borrower. Then the credit is securitized in small fractions and these notes are acquired by investors. They are also publicly traded on a financial market. This is basically the US model, with regulation from the SEC (Securities and Exchange Commission). The platform is a licensed Financial Institution or partners with licensed Financial Institutions to issue the credit to the Borrower. Then the rights of proceeds from the credit are sold in pieces on a private marketplace to investors. This is the model used mainly in Baltic countries. At Klear, we are registered as a non-banking financial institution (registered per art. 3a of the Bulgarian Credit Institution Act). This gives us the possibility of originating credits. Once financed, we list them for sale on the marketplace. Although the credit risk affects the lenders, platforms quickly understood, that they must excel in credit risk management. Because if their Investors lose money, that’s the end. They would probably not recover from such a blow to their image. It’s even more crucial than for banks who could sail through a risk crisis thank to its shareholders or the life buoy given by the state. First pillar of a good credit risk assessment is access to credit bureau data. Platforms do it thanks to their own license or through partners. But they usually don’t stop there. The online world gives the possibility to collect and process huge amounts of data like the behaviour on the website, the information coming from the social media, the information from various online databases. This data is processed with credit scoring models and machine learning technology. Thanks to these models, platforms now display to the investors the risk segment of the borrower and use this segment to price accordingly in order to achieve a targeted return for each segment. That’s risk-based pricing principle. They also take care of the collection of payments in delay, whether with internal resources or by contracting collection agencies. The cost of this actions is usually covered by penalties charged to delinquent borrowers and sometimes by a participation from the lenders. Finally, some platforms have created mechanisms to limit the risks, or more exactly to smooth the volatility. Mainly in UK, the leading platforms have created a provision fund. On each financed credit, part of the fee is taken aside and contributes to the fund. It’s a way of pooling the risk among all Investors, ensuring a stable return. In case a loan is not repaying well, the provision fund will pay for it. But it’s not, in any case, a guarantee of return. Another mechanism, recently emerged, is the buyback guarantee. If the loan is reaching a certain level of delay, it is repurchased by the issuer at nominal price. That sounds like there’s no risk. Well, that is if the originator or the guarantor does not default. The time when platforms were just simple marketplaces connecting people is gone. Most of them have evolved to a more mainstream solution targeting a wider audience than the early adventurous adopters. First evolution is the automatic investment tools where lenders could define rules for investing which, once validated, would allow the platform to automatically invest available money in any loan fitting the criteria. This is particularly helpful for lenders who don’t want to check every day if a repayment came from one of its borrowers. These tools are helping to avoid any idle money not invested. The classical model was that a borrower approved by the platform is listed on the marketplace, then lenders can start investing in it. But the loan is concluded only once 100% of the funding of the loan is committed. So the borrower could wait days and sometimes would cancel. This is not anymore an issue for the very big platforms because of the huge volumes. But some of the new entrants have defined a mechanism of pre-financing. An approved loan is immediately financed on the funds of the platform and is the listed for sale. The money recovered is then used to finance new borrowers. We’ve also seen the emergence of specialised investment funds who are buying loans from various platforms and deliver to their investors a combined return. This fits the needs of passive investors who don’t want to take the pain to go and manage an account on each platform. 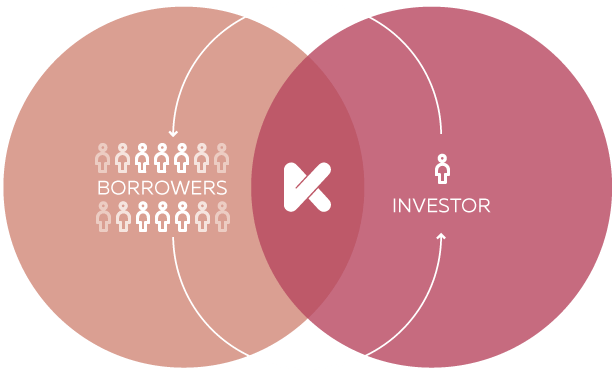 Peer to peer lending is basically creating a new class of assets for investors, institutional and individuals. It took years for Peer to Peer Lending to get out of an almost total anonymity. Then it started to grow exponentially, generating a lot hype with over enthusiasm and excessive expectations. Now, it’s facing in US a backslash, as excessive as was the hype before. Growth continues in Europe, although not at the stratospheric rates from the previous years. It is impossible to predict which market share online lending platforms will grab from traditional players. We just should not underestimate the power of the social component. 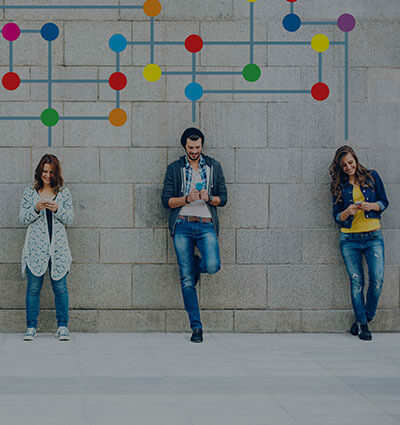 New generations are willing to try innovative solutions from the sharing economy. We could think that a borrower would be neutral between taking a credit with his bank or with a Peer to Peer Lending platform if the interest rate is the same? That would strongly underestimate the value proposition many people find here “Take your credit with a peer to peer lending platform. Most of the interest you pay will go to people like you, not in the pockets of a big corporation”. At the end one thing is pretty sure - There is plenty of room to do things in a better way in the financial industry. Whether the banks will strongly react, adapt and improve or whether they will lose big chunks of the market to new players, we’ll see. But it should be in any case for the benefit of the customers. That’s hopefully the expected outcome of the Finance 2.0 revolution.